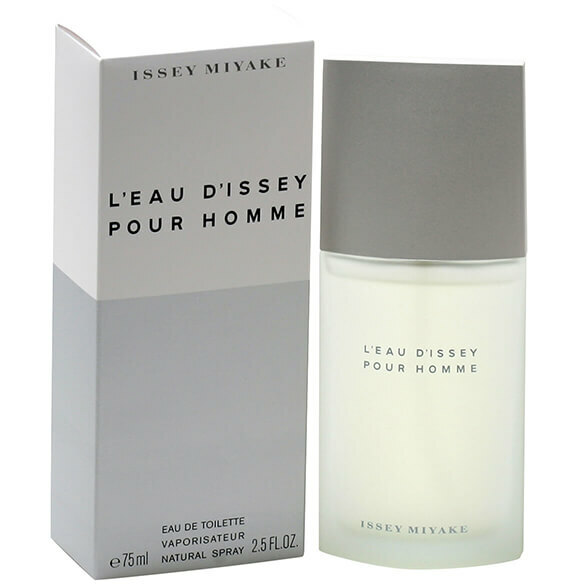 Issey Miyake L'Eau d'Issey Pour Homme, the best selling men's fragrance from the Issey Miyake design house was released in 1994. It's a great signature scent for men of all ages, with a combination of notes like woods, aromatics and aquatics. This men's fragrance is transparent with juicy top notes of yuzu, tarragon, bergamot, mandarin, sage, coriander, lemon and cypress wood. The middle is calming and spicy with nutmeg, cinnamon, lily, saffron and geranium. The base is perfect for the aquatic and juicy top and mid notes with sandalwood, musk, vetiver, cedar wood and amber. A fragrance that is like no other has a long lasting capacity, is not at all overbearing and makes it a best seller, it doesn't fail to leave an unforgettable impression everywhere you go. 2.5 fl. oz. EDT Spray. No express shipping. No shipping to PO boxes.